The worst fears I had about ZETMAN are turning out to be true. 13 episodes is too little, the pace is far too fast, and they’re changing things too much. I fully expected them to change something – that’s always the case with adaptations – but they’re making the story less dark. I won’t say more about the changes since Aki’s avoiding being spoiled about the manga story. There’s no time to build any characterization at the pace they’re going, and Aki is just confused and doesn’t really give a damn about any of the characters. Or the plot. If they’re even managing to build any plot, so far they’re going for the cool factor and nothing really clicks together. I’m mostly just feeling sad about what they’re doing to ZETMAN. The more I watch it the more I feel like I can’t really recommend it to anyone, and it’s a shame because it does look good and the action sequences are well composed. The opening song is very catchy too. I might end up watching this alone if Aki decides to drop it and read the manga instead. The previous season, most of the stuff we dropped was because it just turned out boring or plain bad. This season seemed like the season of the ragequit because we actually started with a few of those! After the ill first impressions we found a title that is really worth checking for Taibani fans. 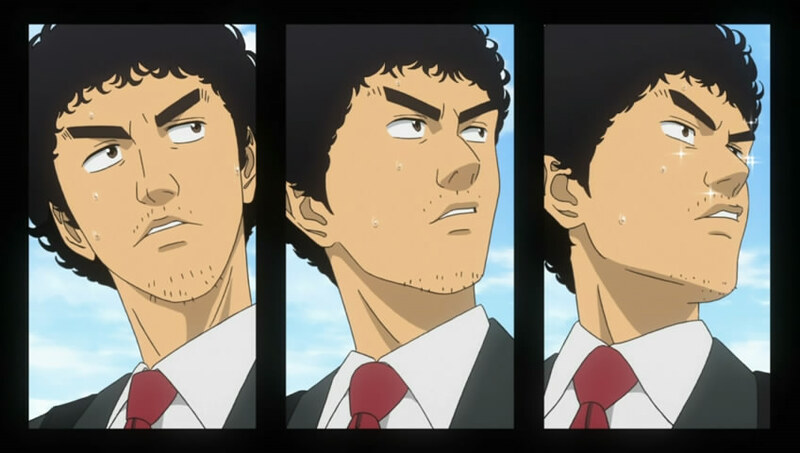 Space Brothers (Uchuu Kyoudai) – Hirata Hiroaki plays the main character: a thirty-something guy who gets fired in the first episode from his job designing (red) sports cars, wears too short pants that show his ankles, squashes his burgers and fails a lot. Sound familiar? Well, it’s not Kotetsu but the parallels are really amusing. We got no idea if Hirata got a bit of typecast here after his success with Kotetsu because he’s using a very Kotetsu-like voice for the role. The series is entertaining with a good pacing, even though the setting itself feels quite generic – the main character has to overcome a lot of obstacles to reach his dreams. I feel like I’ve seen a story like this many, many times before but it doesn’t really bother me. The other things outweigh it. Oh, and Crunchyroll is streaming it so you can watch it there. We’re also happy that Noitamina is good again after a few seasons of stumbling. We were a bit iffy about Sakamichi no Apollon at first because the series compositor Kakihara Yuuko did an epic failure with Persona 4 the Animation, but so far it’s been really pleasant to watch. Tsuritama was automatically on our watch list because we’ve both got the hots for Nakamura Kenji‘s series – Mononoke is one of our all-time favourites. The rest of our watch list for this season looks like this: Arashi no yoru ni, Folktales from Japan, Hyouka (this just started so we’re still undecided if we’ll stick with it), Jormungand, Lupin III: Mine Fujiko to iu onna, Eureka Seven AO, and Shirokuma Cafe. Actually, there’s something we want to recommend this season: Unofficial Sentai Akibaranger – a parody on super sentai shows. Now, what makes this interesting for us is that Satou Keiichi did the character design for the show. Maybe we’ll get to see some dangerous underpants (with a surprise bulge) in it. 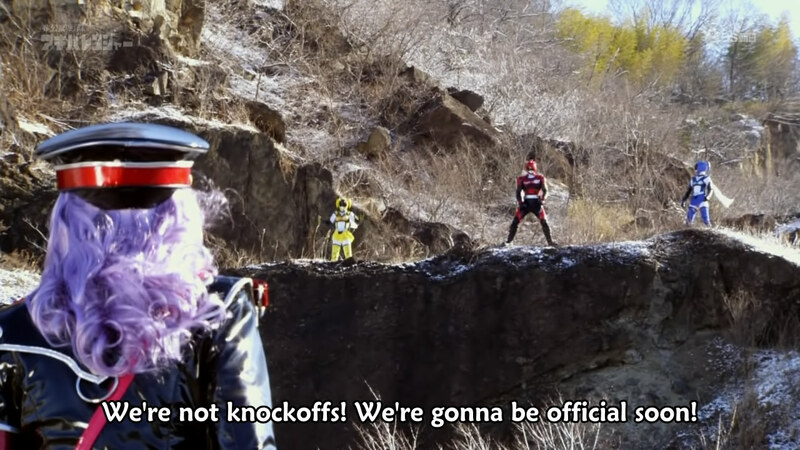 Plus it’s really really funny, even for people who don’t normally watch tokusatsu shows. Give it a try! Regarding Space Brothers I can’t take my self to whisper any time I listen to Mutta voice… I love him because he is so Kotetsu…. Space Brothers is pretty good. Mutta is very Kotetsu-ish in his behaviours (maybe it’s a 30-ish male stereotype?) It’s an all around enjoyable show, that I wasn’t exactly expecting to like. I too am glad that noitaminA is having a good season. Tsuritama is amazingly fun (I love that the director brought in some of the design motifs from Kuuchuu Buranko), and Sakamichi no Apollon is pretty enjoyable as well. I only watched 2 episodes of Zetman and I kind of lost interest for the same reasons you cited. Very disappointing. I think I’ll keep watching Zetman even though it’s kinda painful, I am a bit stubborn (usually too stubborn for my own good). Space Brothers wasn’t even on my “going to check this out” -list but as usual we ended up checking out almost everything that didn’t sound idiotic or offensive in some way. We loved the first episode. doesn’t it feel like both are reprising their TaiBani roles? so far the character development and pacing have been excellent. i can’t imagine they’ll keep this to just 13 episodes. considering there’s also a Live Drama coming out for this. PS – i had a hard time at first deciphering if it was Morita on Hibito. turns out it was KENN. 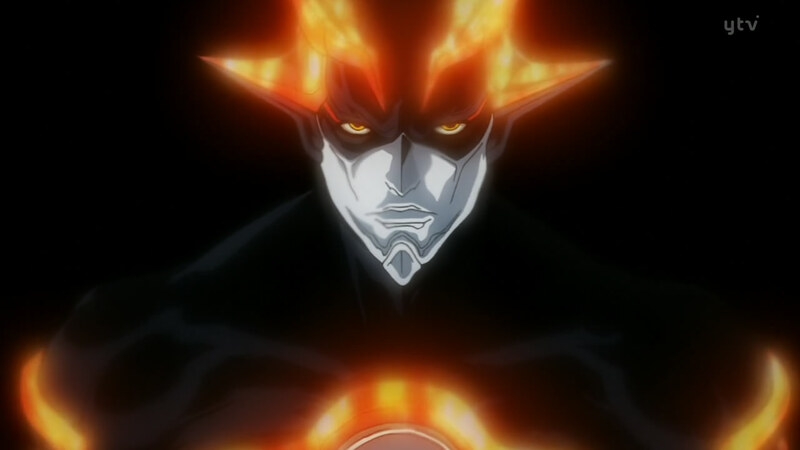 on Zetman, so much gloss so little substance. so sad we are. the pacing is just breakneck. it’s hard to put things together. which is a shame, really. i’m having a hard time connecting it as a supplement to the manga. also on my list: Sakamichi no Apollon. that OST is as good as bought. they revised a few nuances from the manga but otherwise, pacing and character are still excellent. Eh? Inoue Gou isn’t in Uchuu Kyoudai. Kenji’s seiyuu is Katou Masayuki. Sakamichi no Apollon music is awesome, and so is the music in the new Lupin III. I also kinda want the E7 AO soundtrack. what – really?? i thought i read it was Gou-san… ok, gotta watch it all over again. guess that’s how much influence TB has on us!